So young and so strong, how our children cope with chronically ill parents. 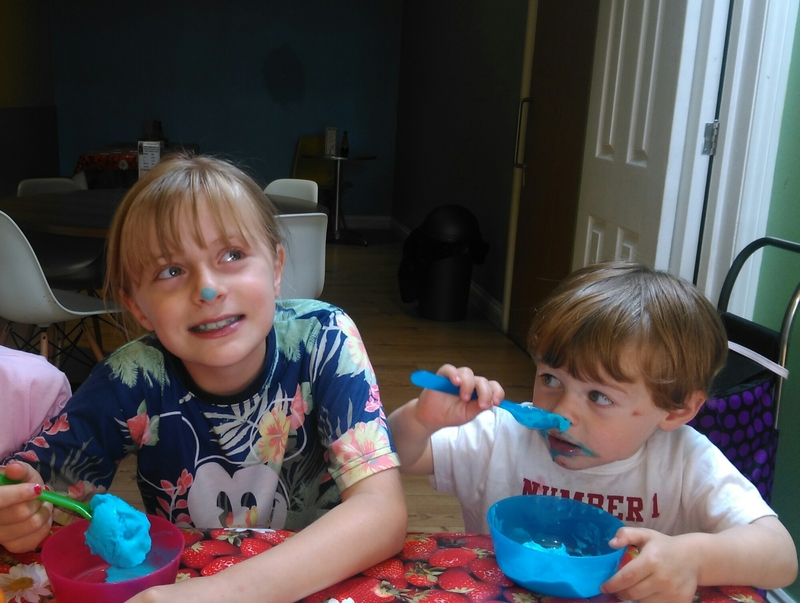 In this blog we hear from Candy Dunne, who suffers from a number of chronic conditions, as well as being a mother and a blogger. 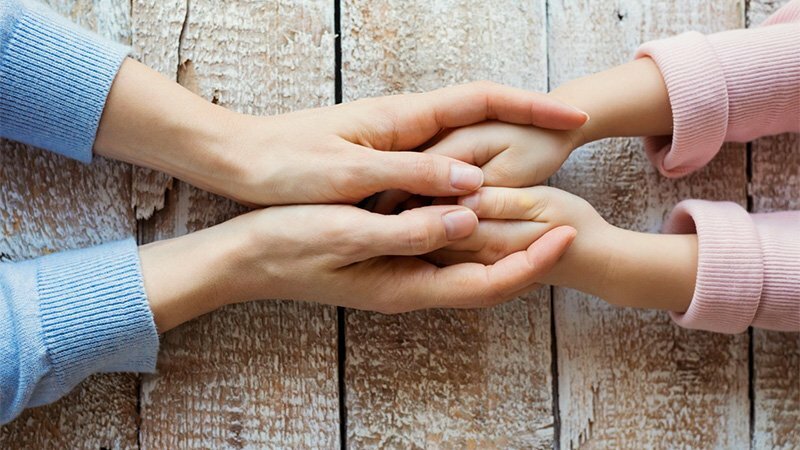 She offers us a unique insight into what it is like for her 7 year old daughter to live with a parent who suffers from chronic conditions. “Last week I left my 7 year old daughter crying in the arms of her Nana. I couldn’t console her, I couldn’t explain to her what was going on, all I could do was give her a hug and whisper “I’m so sorry”. My big bag of wonderful chaos had just made mad dash to find daddy because mummy was having another asthma attack and couldn’t find her inhaler. Most people take breathing for granted, but not me. I’m a suffer of many things and chronic asthma is only one of them. I’m still learning my triggers but it would appear I’m highly allergic to Christmas and cleaning, anything from bleach to candles and cinnamon can trigger an attack. In fact, a bread and butter pudding once landed me in Middlesex University Hospital. I joked on Twitter recently that my family is so used to my hospital trips that they never even bring me flowers anymore. But that’s not quite so true of my daughter. Whenever I need to go back to hospital these days, all I see is panic in her eyes. She understands that there is no guarantee I’ll make it home to kiss her goodnight. She hugs me tight and makes me promise she can come and visit later. I try my hardest to explain that I’m OK and not to worry but I’m sure my staggered attempt to talk only scares her more. It breaks my heart to leave her in tears, to know she will worry about me until I can come home. On the quick trips I return to find her wrapped in one of my scarfs or wearing one of my T-Shirts. I worry about her worrying about me but I know that Nana will be with her until Daddy gets home. Regardless of the length of my hospital stay, the next few days she refuses to leave my side. She wants to sit and talk to me and this can sometimes be difficult. I see the disappointment in her eyes when I say I can’t make it to watch Karate this week or take her to the park. Sometimes she can’t contain her frustration and her shoulders drop while she lets out a big sigh. But her annoyance never lasts, in the blink of an eye she always looks at me and says “don’t worry Mummy, it doesn’t matter, I didn’t really want to go anyway”. It’s at these moments I hold her tight and tell her I love her and as much as my heart swells with pride at her attempts to be strong, it breaks a little bit too. Anyone who suffers with a chronic illness or autoimmune diseases can tell you that you never just have one condition, they almost always come in pairs or even packs. It doesn’t help that I’m also plagued with Fibromyalgia. I often wonder what my daughter must think of her sleepy mummy and then I remember something she said “it doesn’t matter that you’re tired a lot and can’t do stuff other mummies do, I still think you’re the best mummy ever”. I look at her and wish I could do more and be better. My daughter is so incredibly brave that I owe it to her to be brave, too. She deserves for me to fight these conditions and not wallow in self-pity. Don’t get me wrong, it’s impossible to be positive all of the time but for myself and my family I’ll keep battling on. I can accept that my conditions will affect me to some level for the rest of my life. However I refuse to let them become my life. Whilst being a parent with a condition can make your day slightly more challenging, it’s so important to try and keep positive. The chronic life has meant that I get to spend some truly quality time with my chaotic kids. On the good days, I appreciate our adventures and enjoy every moment in a way I never did before. I see my daughter’s eyes sparkle when we play and hear my baby boy giggling with his infectious laugh, and think to myself how incredibly lucky I really am. This post was written by Candy Dunne, blogger and expert on how to maintain your sanity being a parent with a chronic condition. Candy is an independent writer and is not affiliated with myTomorrows, nor does she endorse myTomorrows.